Welcome to the new blog from foodonwhite, a place for us to keep you updated on our latest shoots, provide recipes and other foodie facts, share with you whatever inspires us (be it photography, design, cook books, our latest favorite food finds etc), get all techy & nerdy about techniches & equipment or just let you know what's on our minds. 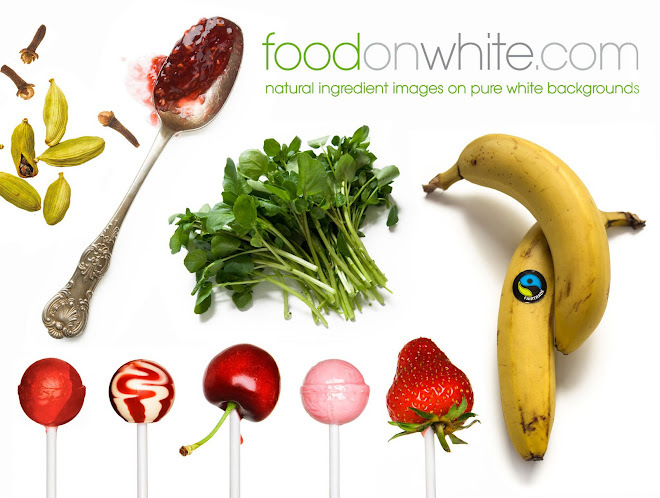 If you don't already know what we do well the name pretty much sums it up - we are a new online photolibrary selling a unique, steadily growing collection of food ingredient images on pure white backgrounds, retouched and ready to drop straight into design layouts. Check out the website and let us know what you think.